These are ready to use! No assembly, required! These dimmable magnetic power supplies, were tested with our LED light strips. The rated power 75 watt. Output 12v 6.25a (6250 mA) maximum. It designed to work with standard 120v AC magnetic dimmer. It was tested with our LED strips. 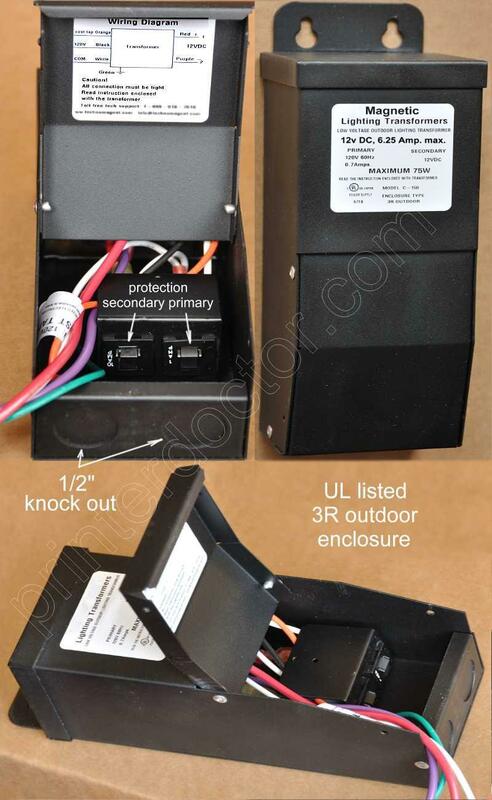 This UL listed Power supply has both side circuit breaker protection: on 120v AC and 12v DC. Shopping cart pop ups in a new window, please disable pop up blocker, if you can't see shopping cart.